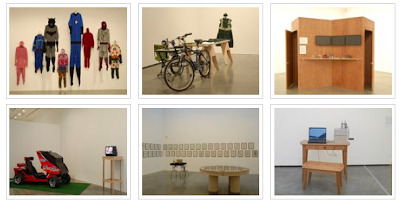 MAKE:CRAFT closes December 4th - two more weeks! In the last decade we have experienced the convergence of a worldwide financial crisis, two wars, and a developing interest in the sustainability movement. Due to our growing awareness of climate change and limited resources, American culture is responding with an almost romantic return to the basics. Growing your own food, repurposing your old stuff, and making your own accessories and gadgets have become a part of popular culture. Craft is back, although reinvented and redefined. Contemporary artists have joined the ranks of techies and tinkerers by making and crafting unique objects or social settings. Their work is both functional and/or makes sociopolitical statements that address our naïve and insatiable consumption of goods and media and its effects on the world around us. The artists in MAKE:CRAFT display ingenuity, hand-making and technological skills, and participate in what could be termed an Art & Design-to-Craft Revolution. This activity has its roots in the Arts & Crafts Movement of the late 1800s, which responded to the industrialization of goods produced in Europe. At the turn of the 20th Century magazines such as Popular Mechanics and Craftsman began what is now a legacy of self-taught, skill-based knowledge sharing, and inspired current trends in the Do-It-Yourself (D.I.Y.) Movement, a historically American characteristic. In the 1950s, the craft movement sought to be included in the contemporary art dialogue as it was typically valued as functional or utilitarian. Today many contemporary artists are turning to traditional crafts for exactly that reason, to create socially relevant works that engage communities in practical and empowering ways. It is an opportune aesthetic for the more performative arts including dialogic and relational public practice work that often overlaps with the “green” or sustainability movement. In 2005, in response to this maker renaissance, MAKE, a quarterly project-based magazine was launched. Its sister publication, CRAFT was introduced the following year, and together they produce the annual MakerFaire in San Mateo, California. This fair, along with other efforts including the Renegade Craft Fair, Anarchist Book Fair, Eyebeam Roadshow, Sewing Rebellion Chapters, and Scrapyard Challenge Workshops are now international in scope. Several artists in this exhibition have been featured in Make and Craft and have initiated these events that operate outside typical art venues. 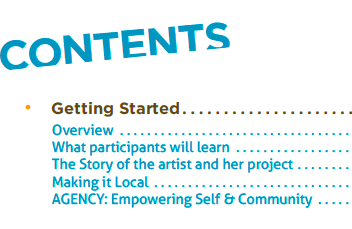 The artists included in MAKE:CRAFT create work about slowing down, skill-based empowerment, personalization of mass culture, open source sharing of knowledge, and challenging capitalist models of consumption. They want to contribute their skills in ways that break through economic and social confines, and give meaning to what they do. Ultimately, the work presents the many possibilities for making or crafting a new world. Artists include Kim Abeles, Jonah Brucker-Cohen, Frau Fiber, Garnet Hertz, Justseeds Artists' Cooperative, Seth Kinmont, Liza Lou, David Prince, Mark Newport, Alyce Santoro, Shada/Jahn (Steve Shada and Marisa Jahn), Eddo Stern and special performance by Crank Ensemble. 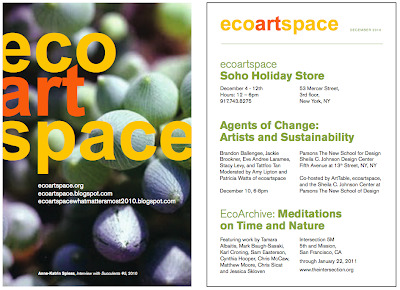 ecoartspace HOLIDAY STORE in SOHO! Come do your holiday shopping at the ecoartspace office in Soho! We will be exhibiting the remaining artworks donated to our Spring benefit What Matters Most. Works can also be viewed and purchased online HERE and are ONLY $150 each. We will also have additional prints, books, stickers and select paintings and sculpture. Perfect holiday gifts! AND, on December 10th Amy Lipton and Patricia Watts will moderate a panel discussion: Agents of Change: Artists and Sustainability focusing on five artists, Brandon Ballengee, Jackie Brookner, Eve Andree Laramee, Stacy Levy, and Tattfoo Tan who explore issues of sustainability and ecology, often to create community-based or public art projects. Their work sits at the nexus between art, life, science, and nature and finds direct, effective ways to engage its viewers. These artists use diverse methods–including dialogue and interaction—to deal with everyday life situations and solve real-world challenges. They often work collaboratively on multi-disciplinary projects that include scientists, ecologists, botanists, landscape architects, and engineers to create large-scale works or interventions in the social sphere. This discussion will focus on their intention to activate the public into making positive changes in their own lives and communities. The panel is Co-hosted by ArtTable, ecoartspace, and the Sheila C. Johnson Design Center at Parsons The New School for Design and presented in conjunction with the exhibition Living Concrete/Carrot City at the Sheila C. Johnson Design Center. 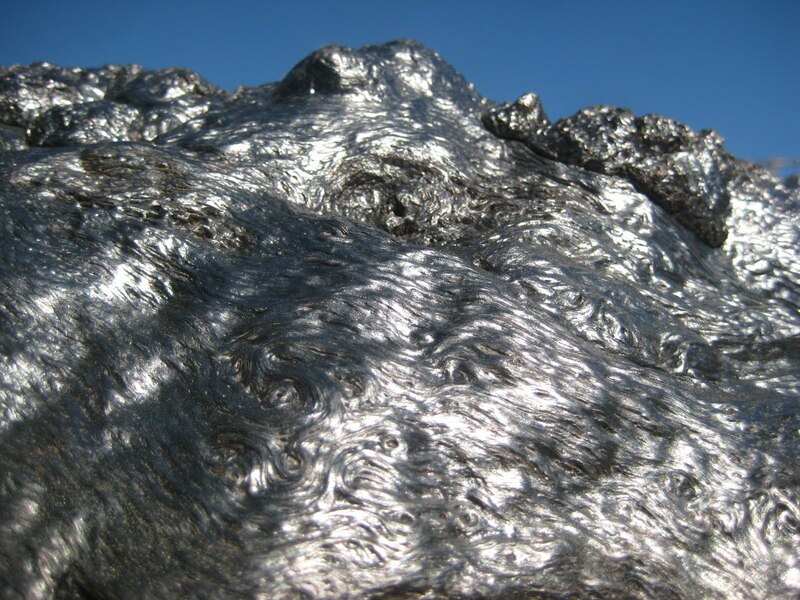 EcoArchive: Meditations on Time and Nature is a group exhibition including artworks that articulate contemplative environmental perspectives and time-based narratives in photography, sculpture, and video. In our rapidly advancing world of technology where perception of time and space is distorted by the immediacy of text messaging and instant streaming of content on the internet, these artists respond to the use and consumption of natural resources by "naming the parts" in ways that slow us down. Their work challenges us to step outside of our daily experience, to consider on a deeper level the range of human activities that shape the natural world, and how time collapses as we move into the future. Some of the art works are intentional archives documenting the environment and landscape; other art works are poetic or aesthetic manifestations of nature, providing another lens with which to view our role in helping to maintain nature’s balance in this new century. Includes Tamara Albaitis, Mark Baugh- Sasaki, Karl Cronin, Sam Easterson, Cynthia Hooper, Chris McCaw, Matthew Moore, Chris Sicat and Jessica Skloven. At Intersection 5M at 5th and Mission in San Francisco, California November 3, 2010 - January 22, 2011. Harvest #35 from Karl Cronin on Vimeo.